From incidents of hacking to industrial espionage, cyber security seems to be a topic that is on everyone’s lips today. What are the threats to your business, where do they come from and how can we protect ourselves against them? Jack Thomas Tomarchio, the former Principal Deputy Under Secretary for Intelligence and Analysis Operations at the US Department of Homeland Security will discuss these threats from his unique optic as an intelligence officer. He will discuss threat intelligence, attack modalities against control systems and the motivations of the attackers. Taking you inside the mind of an attacker he will inform your group on the best ways to defend against serious threats to your business and to our way of life. This speech examines the current strained relations between the US and Russia. It seeks to answer why Russia acts the way it does. What Russia seeks in the 21st Century, the future of Vladimir Putin and what will follow him. It is no surprise that China seeks to become a peer competitor in Asia and seeks to dominate what had been since 1945 an American lake: the Pacific Ocean. This speech discusses China’s long term goals towards, the South China Sea, the Indian Ocean and Taiwan. It will examine the Chinese plans for a 21st Century as “the Chinese Century” under the leadership of President Xi. ⑤ How Do You Solve a Problem Like Korea? With the talks between President Trump and North Korea’s Kim Jong Un looming, what can we expect form these talks and what is the future for peace in Northeast Asia. The talk will offer an intense study of Kim Jong Un and is his personality and motivations behind his nuclear program. At times dramatic, at time humorous, I will give the audience a sense of what it is like to work in the United States Intelligence Community. Complete with stories (now unclassified) of actual intelligence and anti-terror operations that I was involved in. Rich in texture about the personalities of people on the front lines of the war against terrorism, this speech will have audiences spellbound. Jack Thomas Tomarchio is a principal with the Agoge Group, LLC, an international strategic advisory firm based in Wayne, Pennsylvania. He advises companies, law firms, financial services firms, federal contractors and government organizations on trends and changes in geopolitical markets and issues effecting international security. He also advises clients on business processes for technology companies, many of them in the defense, homeland security, cyber security and intelligence fields. He is an active entrepreneur and is involved in early and mezzanine stage companies as an investor and principal. In 2005 Mr. Tomarchio was appointed by President George W. Bush to be the first Principal Deputy Assistant Secretary of Homeland Security for Intelligence and Analysis. In 2007 he was elevated to Principal Deputy Under Secretary for Intelligence and Analysis Operations. In his work at the Department of Homeland Security he was the primary senior official in charge of the Intelligence Directorate’s partnership with state and local governments to build a domestic intelligence sharing network. He also worked closely with other components of the federal intelligence community. Tomarchio left the department in late 2008 to return to the private sector. Prior to joining the Department of Homeland Security, Mr. Tomarchio was a partner at the national law firm of Buchanan Ingersoll & Rooney, where he was co-chair of the firm’s government relations department and national security law group. He also served as co-chair of the firm’s Cyber Security Practice Group. Before joining Buchanan, Mr. Tomarchio was a founding partner of Hill Solutions, LLC and Homeland Solutions, LLC. Hill Solutions was a government affairs firm. Homeland Solutions consulted state and local governments on homeland security and intelligence issues and was instrumental in helping several states and cities establish intelligence fusion centers. Mr. Tomarchio was instrumental in leading both companies to acquisition in 2005 and 2006. From 1993 until 2005 he also served as general counsel to Aloe Investment Corporation, a venture capital firm. After leaving the Army, Mr. Tomarchio became a litigator for two national law firms. He was recalled to active duty for the Persian Gulf War, deploying to Saudi Arabia and Kuwait. Returning to the United States he was detailed to the Joint Chiefs of Staff where he was assigned to the United Nations Directorate of Peace-keeping Operations (UN/PKO) to draft the standing Rules of Engagement for UN Peacekeepers operating under Chapters VI and VII of the UN Charter. Subsequent to that assignment, he was selected for battalion command. Following a successful command tour, he was chosen to command the 153rd Legal Support Organization. Staff assignments included Senior Legal Advisor, US Special Operations Command, Hurlburt Field, Florida; Staff Judge Advocate for the Military Intelligence Readiness Command, Fort Belvoir, Virginia and Special Assistant to the Assistant Secretary of Defense for Special Operations and Low Intensity Conflict in the Pentagon. He retired from the United States Army in 2010 with the permanent rank of colonel. In 2008 he was a member of Mitt Romney’s national security team where he developed and co-authored the candidate’s positon on counter terrorism and homeland security. He is a frequent television commentator, writer and speaker on national security issues and has provided on air commentary for ABC, CBS, NBC, CNBC, BBC, BBC America, FOX News, FOX Business News, Al Jazeera America, MeTV, Canadian Television (CTV), i24News (Israel) and numerous radio stations around the country. Tomarchio has testified before both houses of Congress on homeland security and intelligence matters. In the past eight years, Mr. Tomarchio has served on five corporate boards as an outside independent director and has extensive experience in corporate governance and financial and operational oversight of senior management. He was an adjunct professor at the Fels Center of Government of the University of Pennsylvania from 2001-2005 and has served as an adjunct lecturer at the United States Naval Post Graduate School in Monterey, California. He was a Senior Fellow at the George Washington University Homeland Security Policy Institute (2005-2008) and currently serves as a Senior Fellow at the Foreign Policy Research Institute, the George Washington University Center for Cyber and Homeland Security and as a Senior Advisor to The Chertoff Group. In 2016 he was tasked by US Cyber Command to work on a commission at the United States Army War College to recommend Department of Defense responses to hostile cyber attacks. 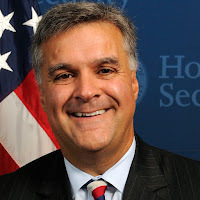 Mr. Tomarchio is a member of the Homeland Security Advisory Council at the Pennsylvania State University and on the Board of Advisors of the Drexel University Cyber Security Institute. He currently holds active federal security clearances.